Malaysia, February 15th, 2017 – Epson, a world leader in printing and digital imaging solutions, is launching its latest POS printer, the TM-m30 printer designed for tablet-based systems. One of the smallest desktop receipt printers in the world, the stylishly compact printer is suitable for retail and hospitality environments, especially those with limited space, and can easily be fitted in any workspace. Suitable for retail businesses looking to move towards a smart device POS system, the TM-m30 is designed for fast and trouble-free set-up on iOS, Android and Windows mobile devices. Its innovative ePOS-print technology enables direct printing from any tablet, laptop or mobile device through the web browser, without the need to install or update drivers. It comes with a wide variety of connectivity options including USB, Ethernet, Bluetooth, as well as NFC, which enables the printer to be easily paired with the device. Wireless printing and communications via QR code pairing or optional Wi-Fi adapter is also possible for added convenience. The sleek POS printer allows for flexible placement and can be placed horizontally or vertically, with flexibility of front or top loading options. It also comes with an optional wall mounting bracket for the smallest retail environments. It also has paper-saving features which include backward paper feeding for printing of other information such as logo. 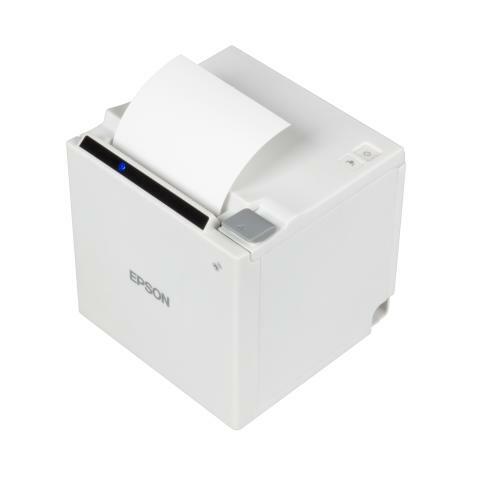 “Occupying only half the size of a traditional POS printer, the Epson mobile POS printer is the first of its kind in the market and is designed exclusively for today’s advanced POS environment. Its superior connectivity and ease of set up makes it the ideal solution for businesses looking to enhance their business retail operations, and to move towards a seamless tablet POS system,” said said Danny Lee, General Manager, Sales & Marketing, Epson Malaysia.